Since I left my day job, and thereby my morning Starbuck’s stop, I’ve been looking forward ways to brew up the same great coffee shop flavors in the comfort of my own home. I’ve successfully duplicated my favorite Salted Caramel Hot Chocolate and picked up a Keurig that perfectly brews up cups of coffee. One area that I hadn’t explored yet was iced coffee. 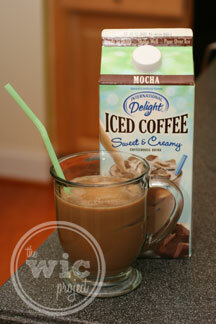 During a recent Walmart trip, I was excited to see that they carried the new International Delight Iced Coffee. I purchased some and brought it home for an iced coffee tasting party. I’ll admit that I sampled the product before the official party. And while I’m at it, I’ll admit that I sampled the product more than once before the tasting party. After the first glass, I knew that this would be a bit hit. So finally, after much patience on my part, it was time to have the party. 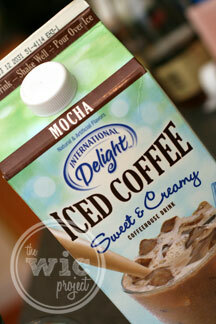 International Delight Iced Coffee? Check – one of each flavor, Original, Vanilla, and Mocha. Thirsty friends? Check, check, and check. So there we were, with three flavors of chilled International Delights Iced Coffee and some thirsty mouths to feed. I arranged some glasses filled with ice and let people choose which flavor they wanted to taste. 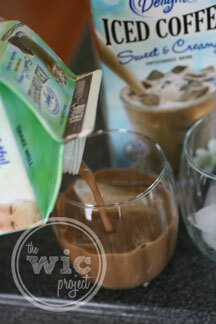 Out of the three flavors, the Mocha flavor seemed to be the biggest hit (as determined by the mostly empty carton.) It had a great coffee flavor with a subtle hint of chocolate. I enjoyed Vanilla, with it’s complex vanilla coffee flavor. Purists will enjoy the original flavor. 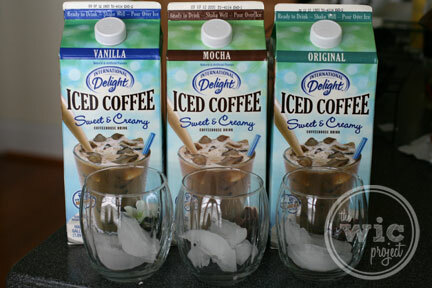 People were pleasantly surprised by how much they enjoyed International Delight Iced Coffee. “I am really impressed,” stated on guest. “It’s like having your own coffee house at home.” I loved that I could get the great iced coffee flavor but was able to get a whole half gallon of iced coffee for the price of one iced coffee from a coffee house. I’m someone who is pretty sensitive to caffeine meaning I can noticeably “feel” a caffeine buzz. I noticed that the International Delights Iced Coffee still gives you a little pep in your step, but not so much that you feel wired out. In the end, the tasting party was a big success! People really liked International Delights Iced Coffee – it’s definitely an affordable and convenient option versus going to the coffee shop every day. 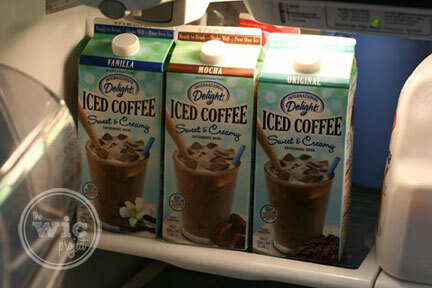 To follow my shopping trip for International Delight Iced Coffee at Walmart, visit my shopping album. Yeah, I sampled mine so much before the party I had to go buy MORE! HAHA! I really enjoyed the original flavor. 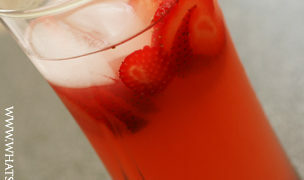 I even like it better than Starbucks, gasp! LOVED this stuff. And a much better price than buying from the coffee shops! If it’s made of (nondecaf) coffee beans it does have caffeine. 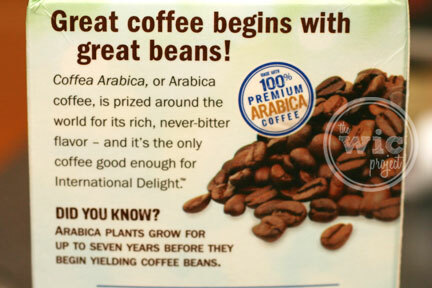 The first ingredient is coffee beans.